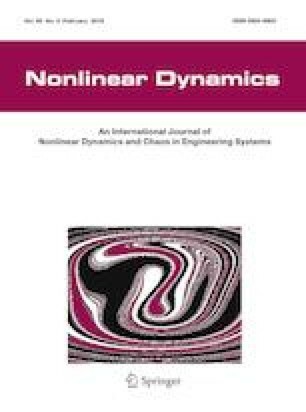 This paper establishes a thermal-structural coupling model of planar spacecraft system with large flexible composite solar array under nodal coordinate formulation and absolute nodal coordinate formulation framework. Perfect revolute joint is adopted as connection type to give the different influences from fixed constraint used in previous researches, and consequently, torsional spring, latch mechanism, and attitude controller are involved into the spacecraft system. Imperfect revolute joint is further introduced to investigate the coupling effects of thermal load, adjustment motion, and joint clearance on dynamics of the system, including spacecraft attitude, solar panel responses, and wear prediction. Results of six comparison models (with or without clearance joint, considering thermal environment, or adjustment motion, and considering both these two conditions) show that the coupling effect of thermal environment and overall motion brings dramatic and unmanageable shock to the system with clearance joint, that is no longer can be seen as a simple superposition of each single condition effect like the system with ideal joint, although the suspension damper property of clearance joint can weaken thermal-induced vibration or motion induced vibration separately. For a period after attitude adjustment, wear depth of the system subjected to solar radiation is two orders of magnitude lager than that of the system without considering thermal environment. Joint clearance and thermal environment should be considered both; for on-orbit spacecraft system, the coupling effects of them are significant and non-ignorable for relevant mechanism design and performance analysis. This work is supported by the National Natural Science Foundation of China (U1637207). The author Yuanyuan Li acknowledges the support from China Scholarship Council (CSC) and the kind help from Prof. Mathias Legrand.